We’ve got some bad news and some good news for folks eagerly anticipating the launch of Rainbow Six: Siege. The bad news is that the game has been delayed. The good news is that the delay is a pretty short one, coming in at just under two months. Originally set to launch on Oct. 13, Ubisoft today announced that Rainbow Six Siege is being pushed back to a new launch date on Dec. 1 of this year. We understand how this might come as frustrating news to folks who thought they’d be playing the game in just two months. The Rainbow Six series has been in hiding for quite some time and this latest outing has been on our radar for a couple of years now. However, these types of delays are almost always for the better. If the team thinks they need an extra 60 days to iron out all of the kinks, that’s only going to result in a better final product. In recent years, we’ve discovered that there are basically two ways these shooters with a heavy online focus can launch. There’s the Battlefield 4 way, where the game was buggy (and unplayable for some) for an almost irresponsible period of time, and then there’s the Destiny way, where a game hits the ground running from day one. If the developers need a couple extra months to make sure Rainbow Six Siege is more like the latter than the former, I’m all for it. According to the announcement, these changes follow quite a bit of playtesting, including work at the studio, the recent closed alpha, as well as hands-on events for fans at trade shows like E3 and Gamescom. 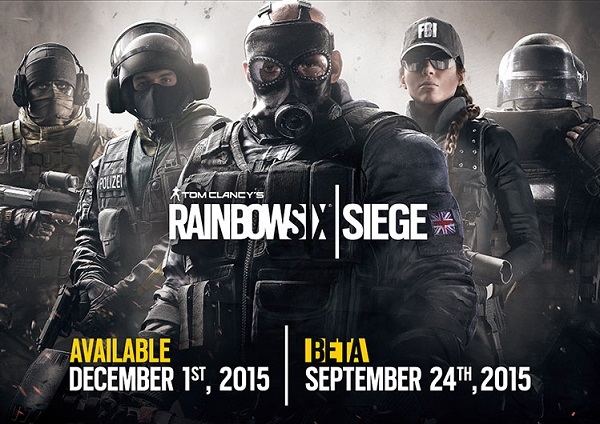 To help in finalizing the game, the team will be putting Siege in the players’ hands once again in the form of a closed beta. The closed beta is set to kick off on Sept. 24, giving the studio even more data and feedback to take into consideration while finishing the game. According to the announcement, all of this should help make Rainbow Six Siege the best game it can be.